SBDT’s new program includes four premieres and a very special guest performance. The premieres are by: guest choreographer Andrea Giselle Schermoly, who returns to create a new work after her highly successful residency last spring; Miche Wong, whose new work Apsara has been created in collaboration with artist Mary Heebner; Nancy Colahan, whose Déjà Vu for Strings and Percussion, will be performed by members of the UCSB Dance Company, under the direction of Delila Moseley; and artistic director Christopher Pilafian, featuring music performed live by percussionists from UC Santa Barbara’s Department of Music, led by Jon Nathan, who is also director of the UCSB Jazz Ensemble. We are especially thrilled to announce that the New York City-based Buglisi Dance Theater will perform Jacqulyn Buglisi’s Requiem, described as a visually ravishing work set to Gabriel Faure’s soaring mass, about which the New York Times has written: “extravagant and beautiful…stunning theatricality”. Requiem, performed by Buglisi Dance Theatre (NYC), choreographed by BDT Artistic Director, Jacqulyn Buglisi. Music is by Gabriel Faure. Buglisi Dance Theater’s appearance is made possible in part by financial support from the John and Jody Arnhold. Nancy Colahan’s Déjà Vu for Strings and Percussion, performed by UCSB Dance Company under the direction of Delila Moseley. 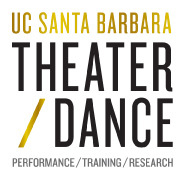 Both Ms Colahan and Ms Moseley are members of the dance faculty in UC Santa Barbara’s Department of Theater and Dance. The score for Déjà Vu was composed by Gianna Abondolo, former cellist with the Los Angeles Philharmonic. Apsara, choreographed by Miche Wong in collaboration with artist Mary Heebner, based upon an ancient origin myth depicted in the temple at Angkor Wat. Moonscape by guest choreographer, Andrea Schermoly, with music from music from The Doors, Jefferson Airplane, The Flamingos and Ludwig van Beethoven. In this new work, her second for SBDT, Ms Schermoly considers the question, What world am I in now? Toggle by Christopher Pilafian, SBDT’s artistic director, featuring company members and students from the SBDT Apprentice Program. Music by Michael Laureles and Owen Clayton Condon, performed by musicians from the UC Santa Barbara Department of Music, under the direction of Jon Nathan, faculty member in Music and director of the UCSB Jazz Ensemble.